I got a lot of comments about the post on my Momma. She is that wonderful. Really. When it’s all said and done for me….I hope to be half the wife and mom…woman… that she is. I made this tasty lil’ salty snack last week to sell at the Bake Sale and they were the first thing to go! They are also a favorite with my kids. In a small bowl, mix together garlic powder, ranch mix, and oil. Place pretzels in large roasting pan. 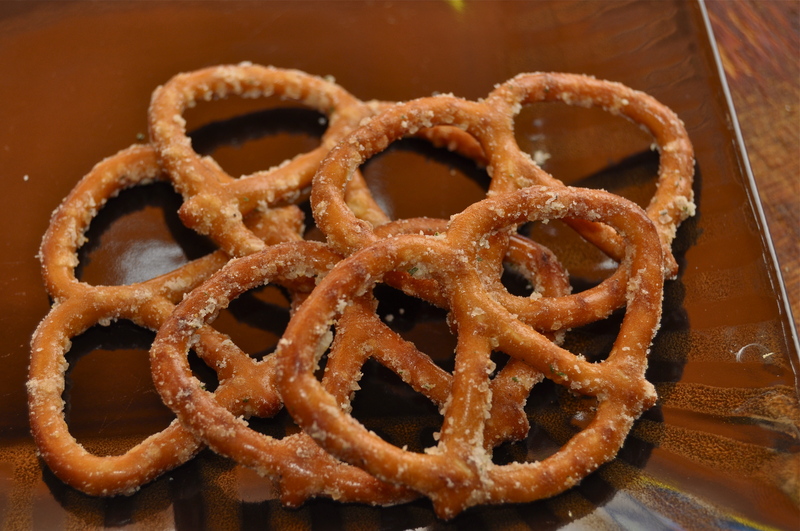 Pour mixture over the top and stir well, until all pretzels are well coated. Bake in a 225 degree for 1 hour, stirring every 20 minutes.